Mike Antonucci’s Union Report appears Wednesdays; see the full archive. Email tips to mike@the74million.org. 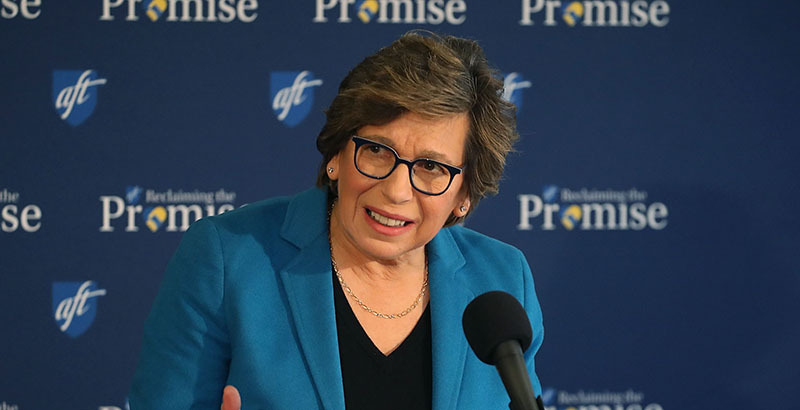 The American Federation of Teachers submitted its annual LM-2 financial disclosure report to the U.S. Department of Labor yesterday, and eyes immediately opened upon seeing $1.15 million in payments to The Atlantic Monthly. RiShawn Biddle has already done the deep dive into the numbers, but AFT reports the entirety of that sum was for event sponsorships. The ones AFT underwrote in 2016 appear to be an LGBTQ summit and the “We the People” series, which were gatherings covering a broad spectrum of politics and civics. The Atlantic also has guidelines for its events which seem to adequately address the potential for undue influence. Politico also reported about the LM-2, noting that the union’s net assets were down significantly. That’s a nice list, but the fact is that AFT’s assets and liabilities have hardly changed over the past year, except that its cash reserves went from $33.4 million to $19.9 million. In layman’s terms, in addition to its usual expenditures, AFT took $13.5 million from its bank account and spent it. What on? Well, it was an election year, so consultants and advocacy groups like the Economic Policy Institute and the Center for American Progress got their share. But media outlets also received AFT money, including Vox and Politico. Taken all together, I’m not concerned that union cash grants are twisting minds among reporters and the general public. However, the amount of money AFT sent to The Atlantic for events exceeded the amount it sent to many of its own affiliates. I wonder if local members and officers feel they could have put that million dollars to better use. A version of this piece originally appeared Oct. 5 on the Education Intelligence Agency’s Intercepts site.